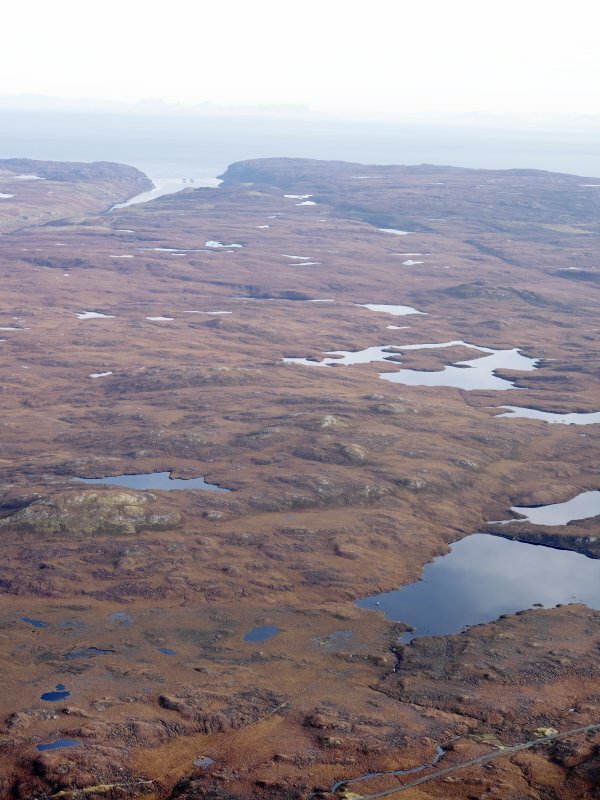 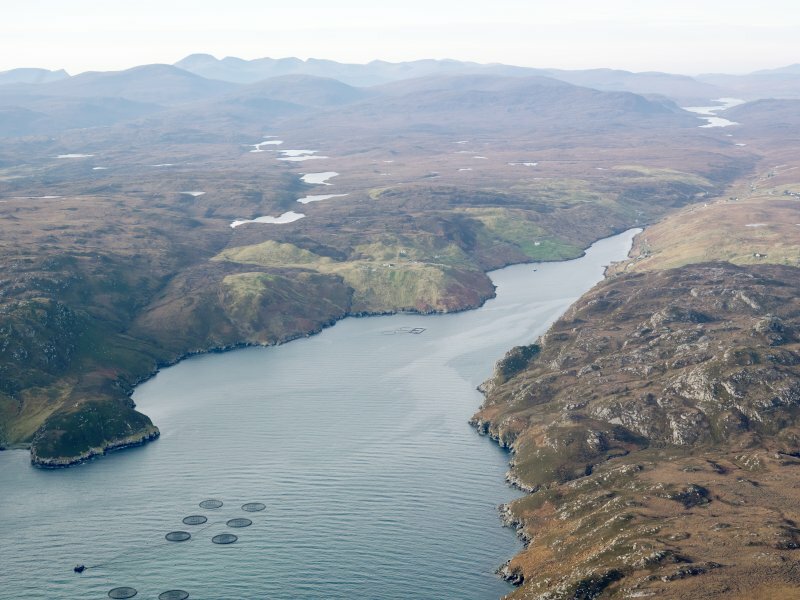 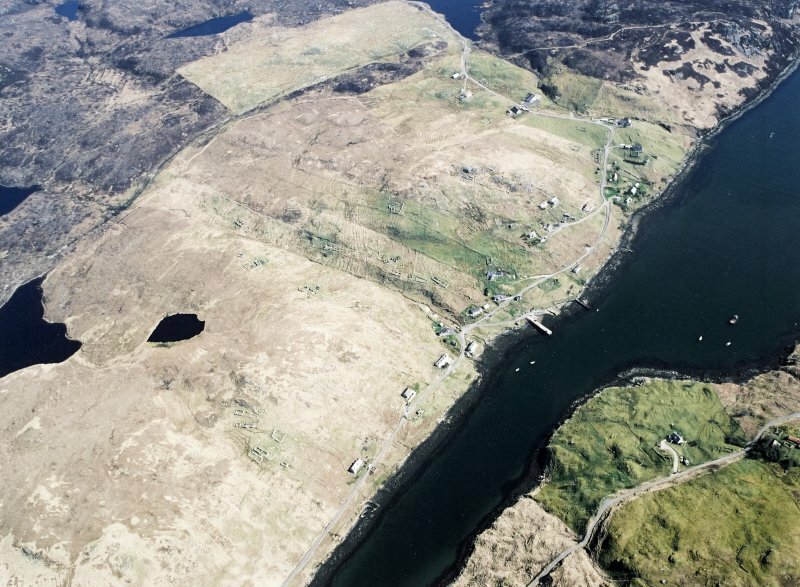 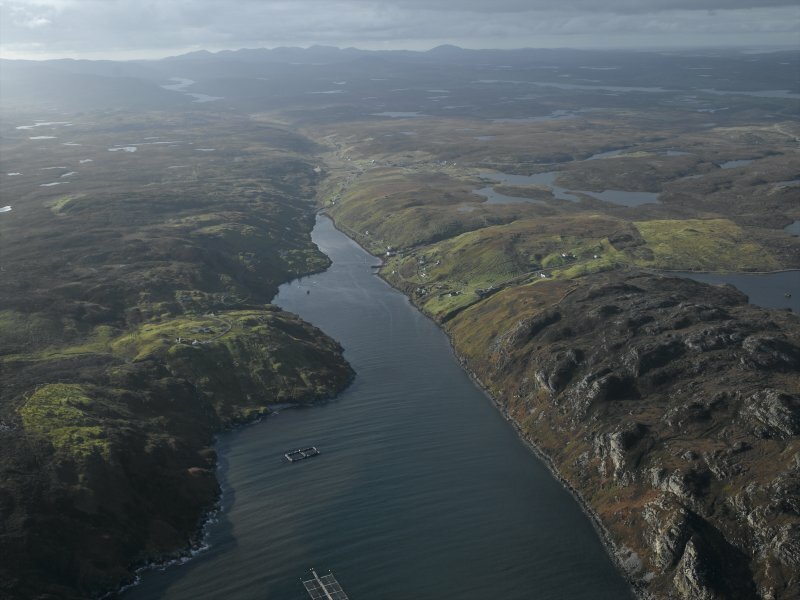 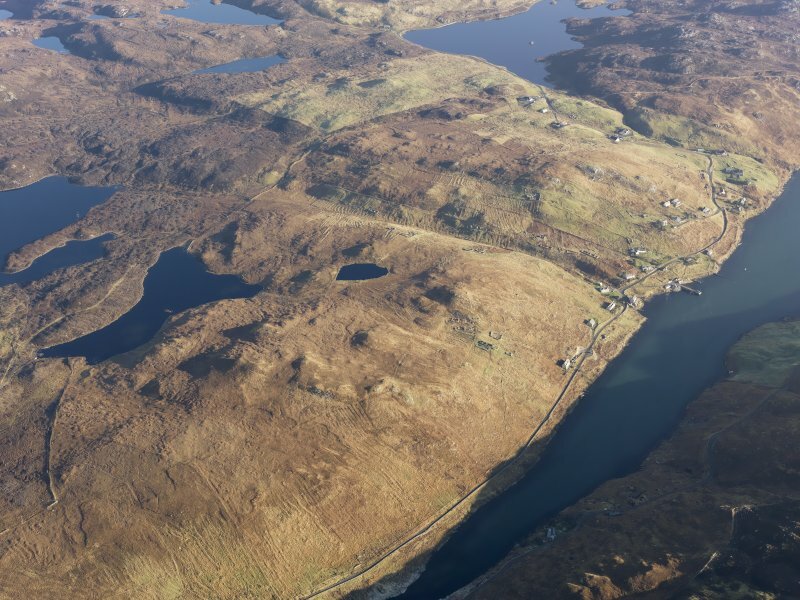 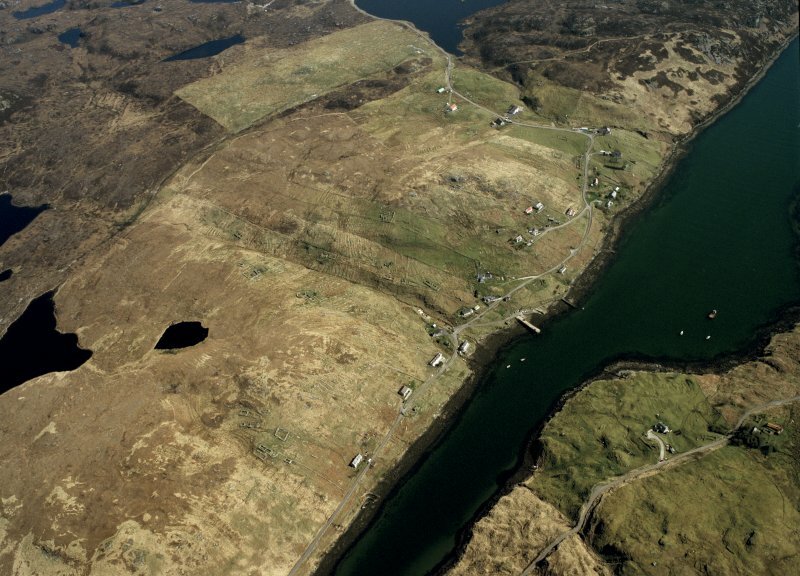 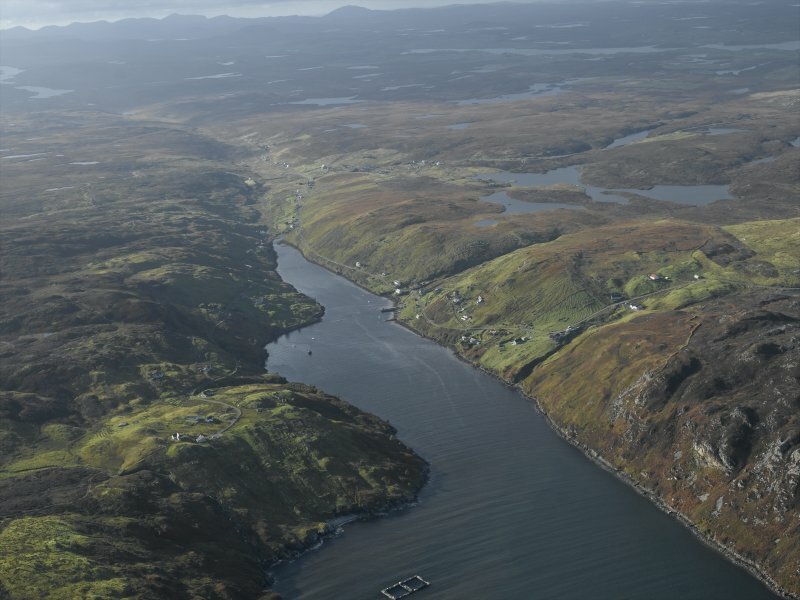 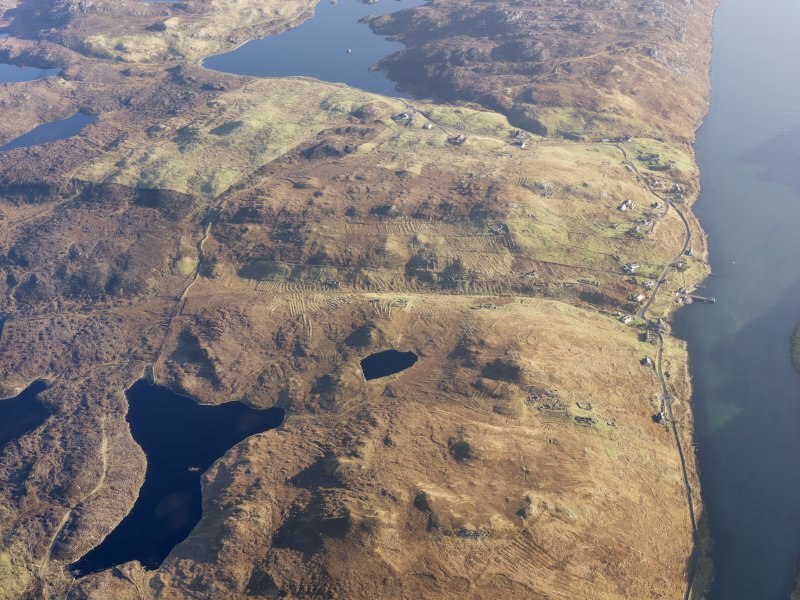 Oblique aerial view of the remains of the township, field system and lazy beds at Gravir, Lewis, taken from the SW.
General oblique aerial view looking along Loch Odhairn towards Grabhir with the fish farm in the foreground, taken from the ENE. 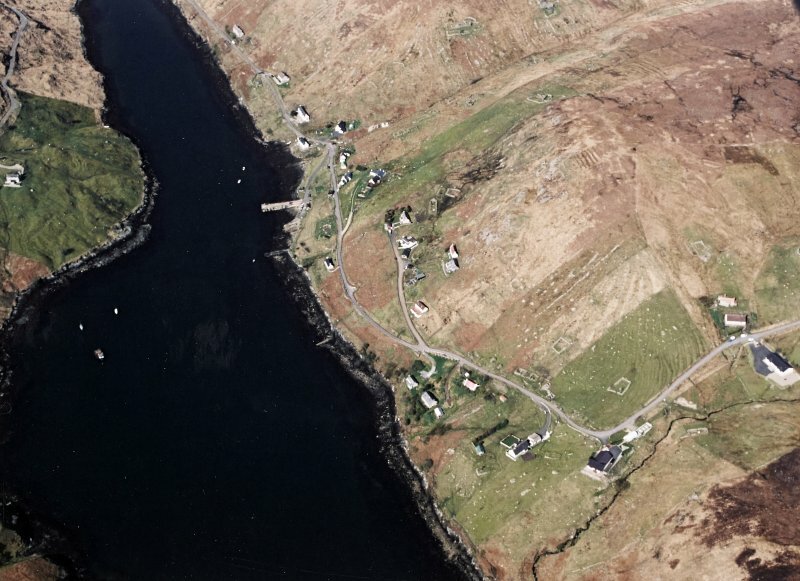 General oblique aerial view of the remains of the township, head dyke, field system and lazy beds at Gravir, Lewis, taken from the W.
Oblique aerial view centred on the township, taken from the SSW. 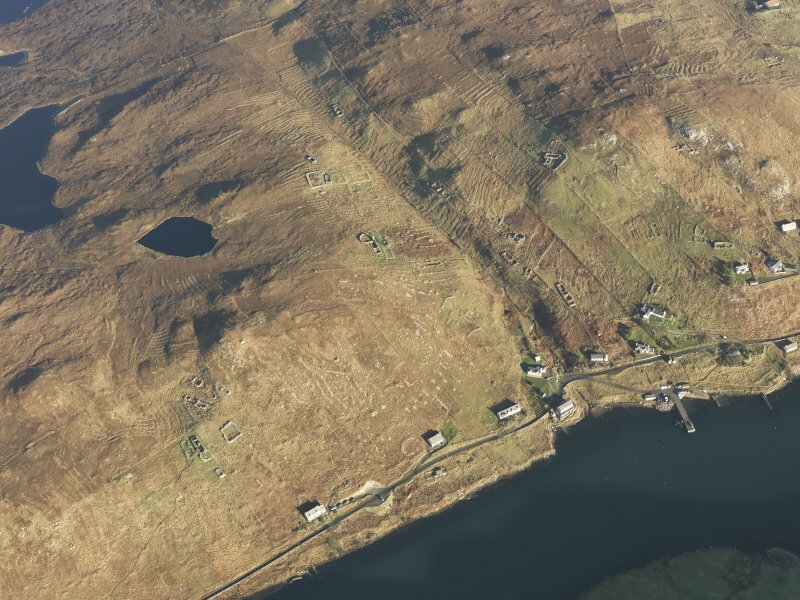 Oblique aerial view centred on the township and the remains of the buildings, taken from the W.
Oblique aerial view centred on the township and the remains of the buildings, taken from the S.
General oblique aerial view centred on the township, taken from the S.
Oblique aerial view of the remains of the township, field system and lazy beds at Gravir, Lewis, taken from the SSW. 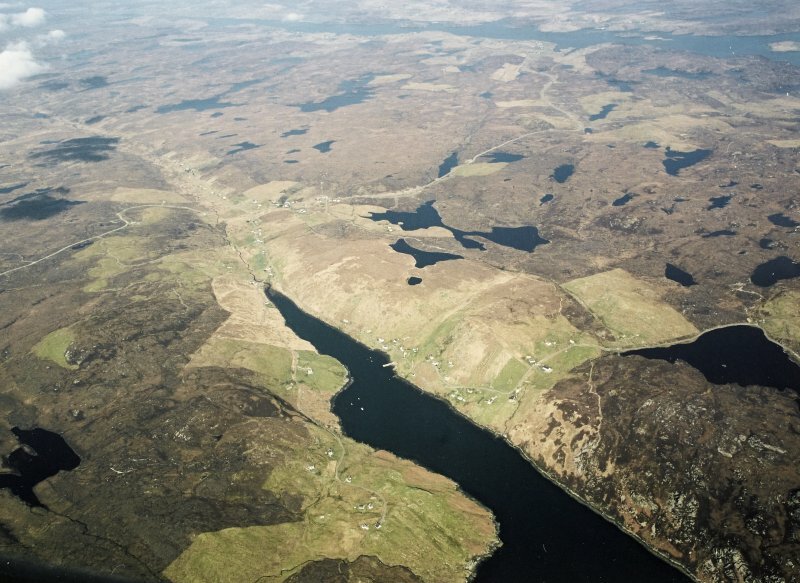 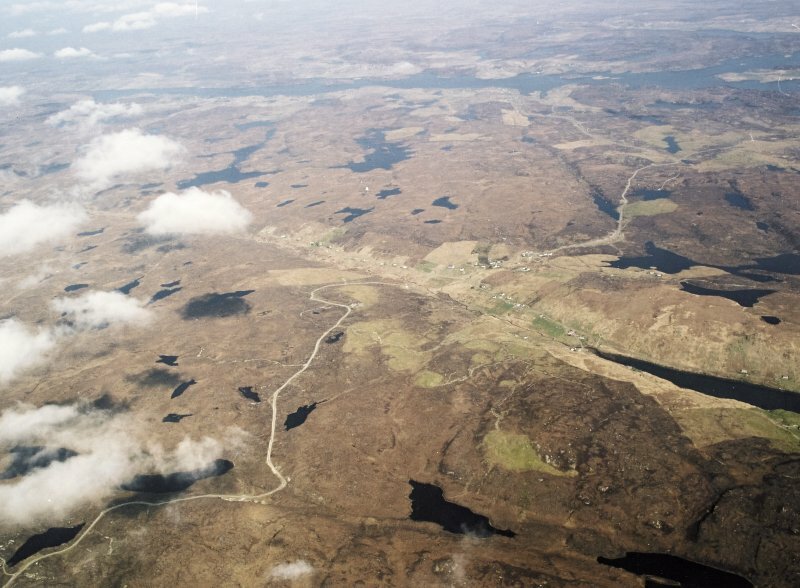 General oblique aerial view looking along Loch Odhairn with the townships adjacent, taken from the SE. 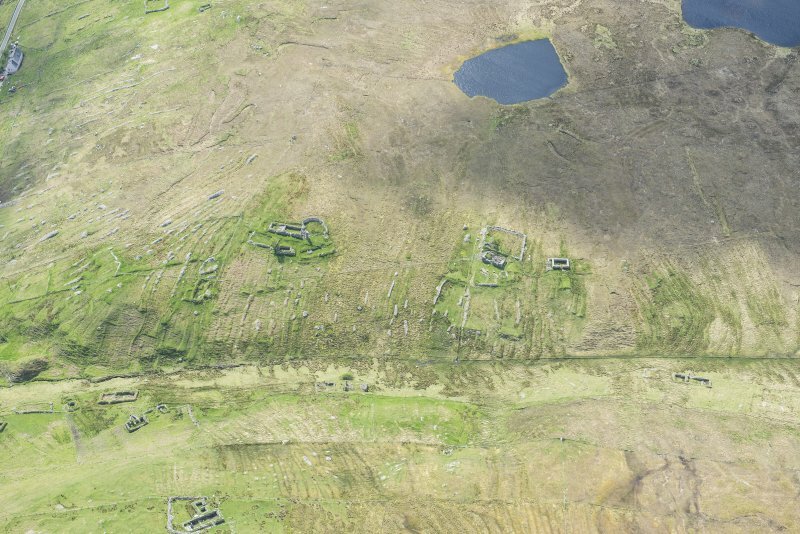 Oblique aerial view centred on the township and the remains of the buildings, taken from the SE. 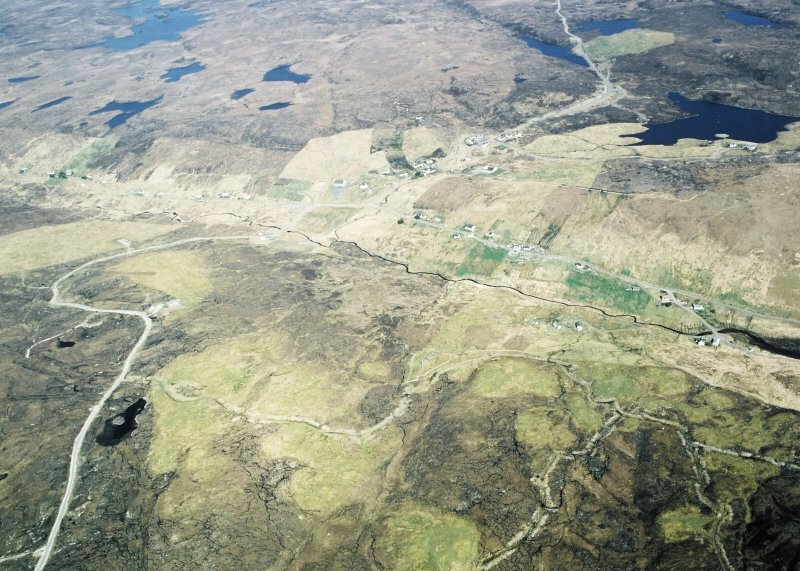 General oblique aerial view centred on the township, taken from the SE. 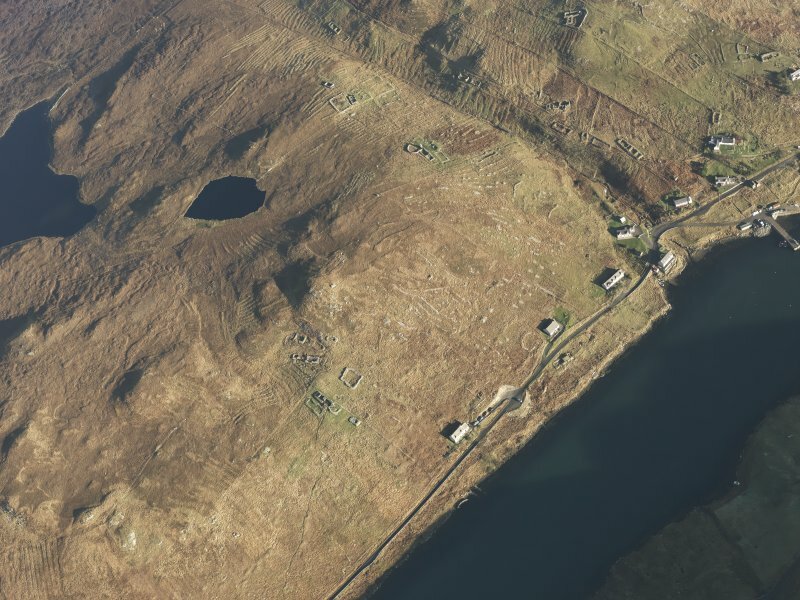 General oblique aerial view of the remains of the township, head dyke, field system and lazy beds at Gravir, Lewis, taken from the SW.
Oblique aerial view centred on the township and the remains of the buildings, taken from the SW.
General oblique aerial view, looking towards the remains of the township of Gravir, on the shores of Loch Odhairn on the E coast of the Isle of Lewis, taken from the WNW. 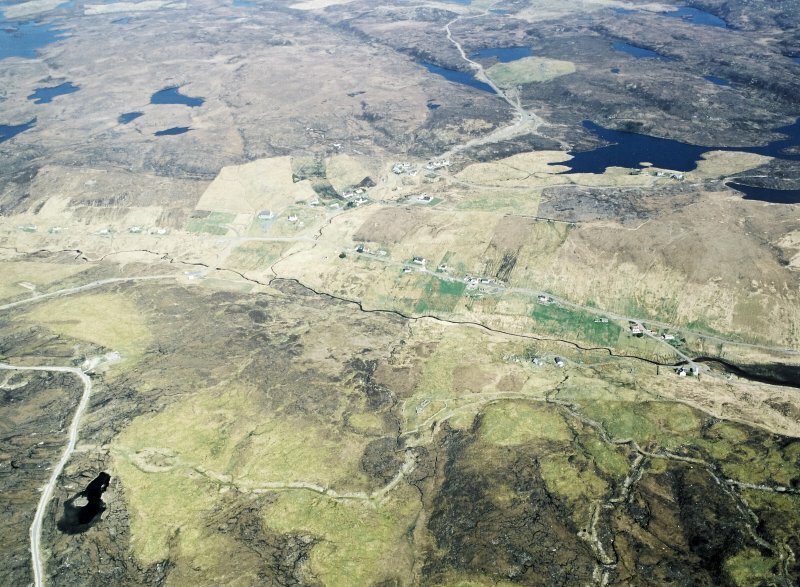 A township, a crofting township and two roofed Corn Mills are depicted on the 1st edition of the OS 6-inch map (Ross-shire, Island of Lewis 1854, sheet 38). 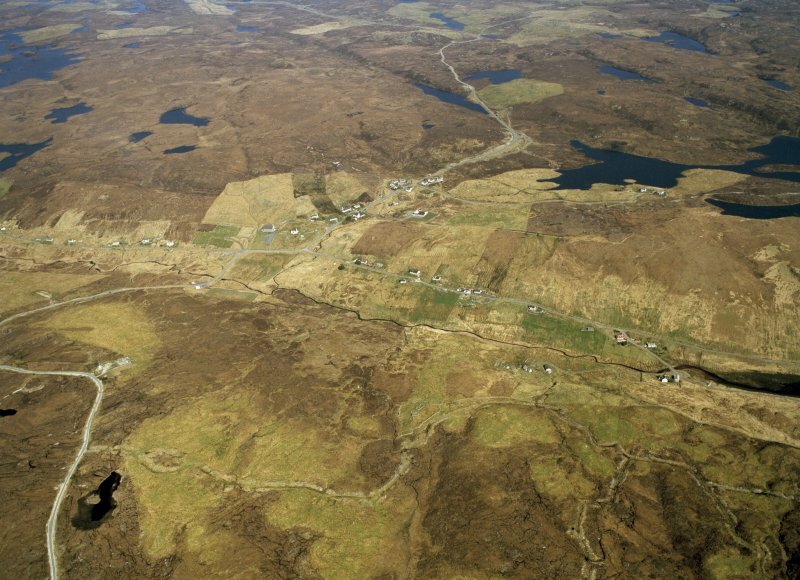 The township comprises twenty-eight roofed, one partially roofed, six unroofed buildings and a head-dyke. 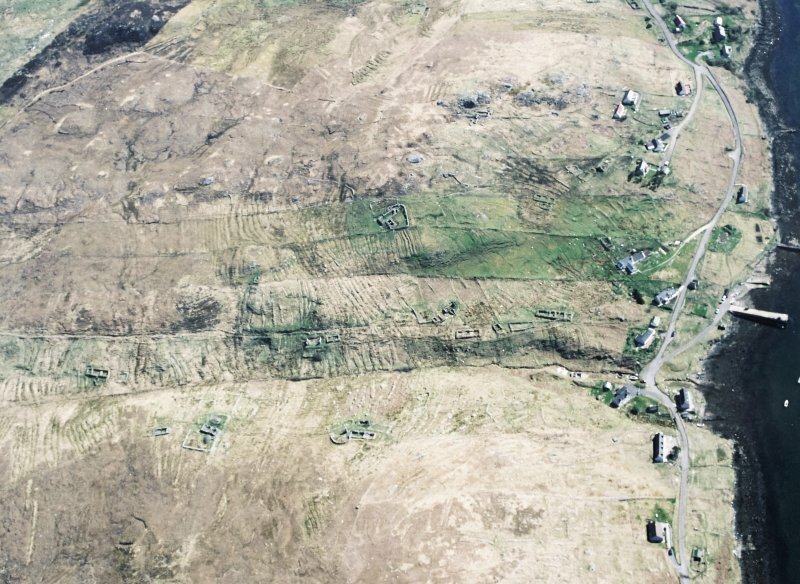 There are two blocks of crofts or plots to the E and the W of the burn named Gil Mhor. 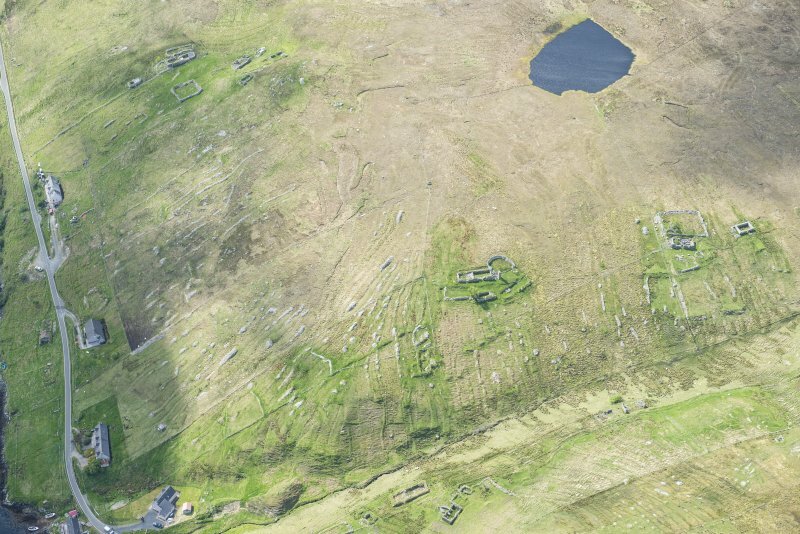 That to the E comprises eight roofed buildings and one unroofed building, and that to the W comprises eighteen roofed and two unroofed buildings. 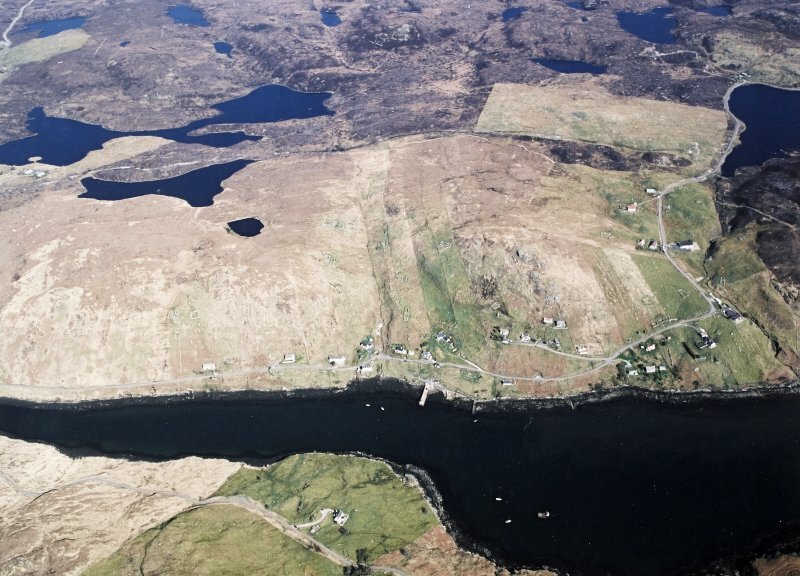 Forty-one roofed, two partially roofed, thirty-six unroofed buildings and the fragmentary remains of the head-dyke are shown on the current edition of the OS 1:10000 map (1974).